Your Hollywood adventure begins at W Hollywood. Located on famous Hollywood Blvd., hotel guests are in prime position to explore attractions like the Hollywood Walk of Fame, the Hollywood Bowl, Universal Studios and West Hollywood sights. Dive into a relaxing meal at Delphine Eatery & Bar or sample signature cocktails in The Living Room or outside at the vibrant Station Hollywood. Take a dip in the rooftop pool (WET® deck), work out in FIT® gym or rejuvenate in the Bliss® Spa before retiring to your epic hotel room or suite. Our accommodations are infused with touches of Hollywood glamour, pops of color and designer artwork. Every pet-friendly room and suite boasts mini-refrigerators, indulgent bedding, marble bathrooms and flat-screen TVs, as well as long desks and Wi-Fi. Suites feature ample entertaining space and views of the Hollywood Sign and downtown. Spectacular events are our specialty. With stunning indoor spaces and terraces, you know your next event, be it wedding or seminar, will be memorable. W Hollywood encompasses the energy, dynamism and excitement of Los Angeles. Located on the famous intersection of Hollywood and Vine, we place travelers in the beating heart of one of the city&apos;s most fabled and vital neighborhoods. You and your mates are locked up in the Captain&apos;s quarters of the most famous pirate as his ship sinks in the Pacific Ocean. Sort through the captain&apos;s fabled treasure and find the key to escape his disastrous fate using all the clues you can find in a room full of puzzles and mysteries. 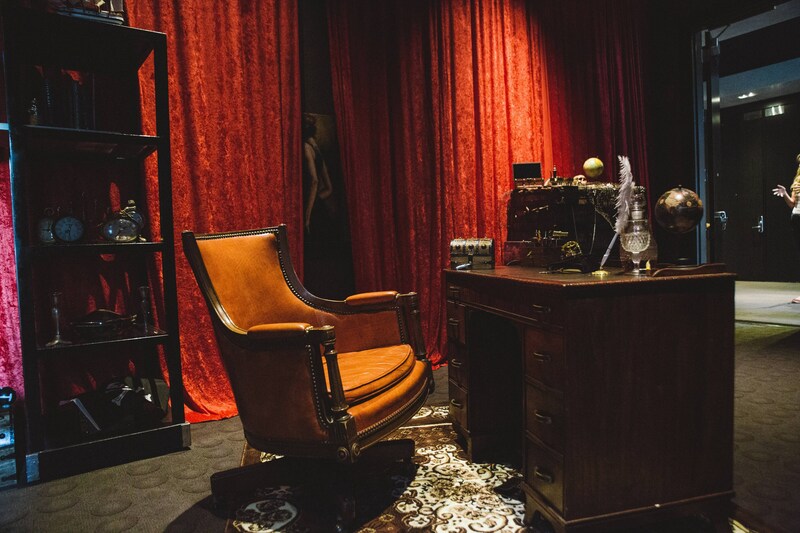 Solve the riddles, find the keys, open the locks, and find the final key to your escape… or walk the plank. W Hollywood&apos;s Sound Suite, a private music recording studio and creative space. With enough room to host a proper entourage, this sound suite includes a live room and a main mixing room featuring the latest professional equipment from top tier brands. 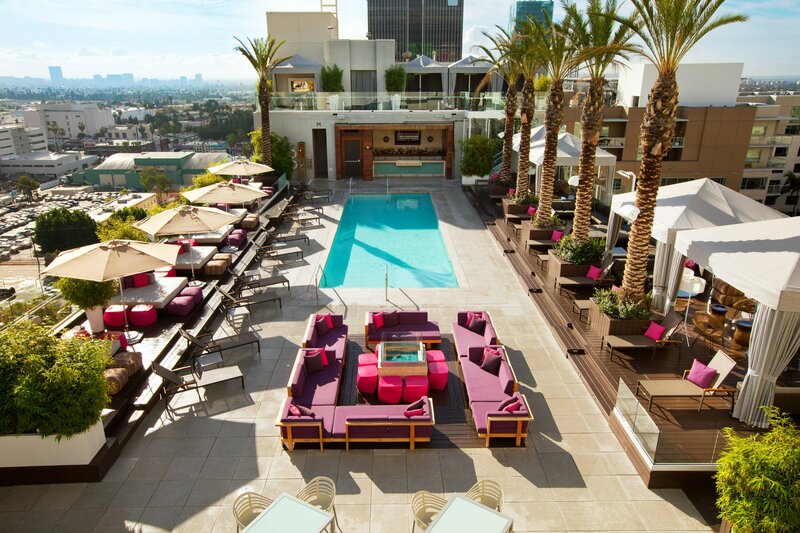 Join us for a swim, or hang out at WET®, our famous rooftop pool and bar in Los Angeles. 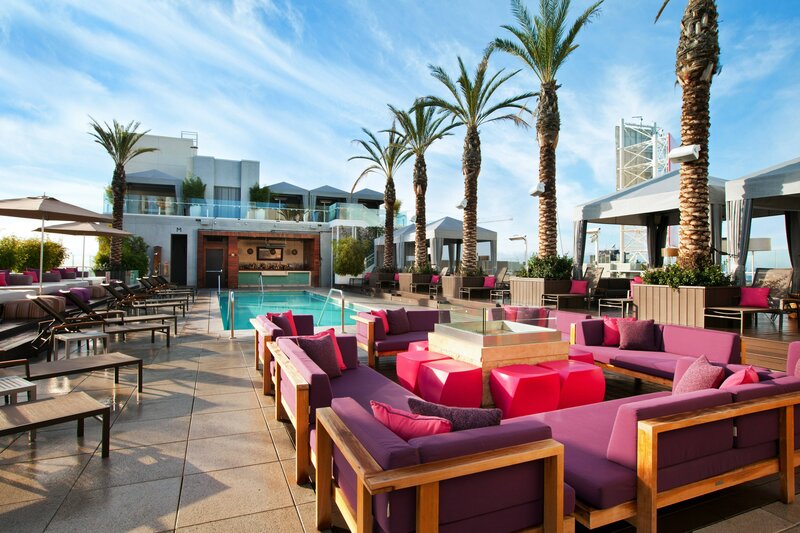 Enjoy stunning views of Los Angeles and Hollywood in the comfort of your own W lounge chair or private luxury cabana.